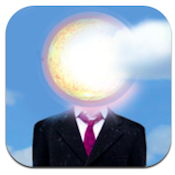 Warren Charles: Head in the Clouds is more than just an iPhone app. Warren Charles: Head in the Clouds provides an interactive album experience that fuses visual arts with auditory ones. The app was designed and developed by Warren Charles Entertainment / 504 Apps. But this Warren Charles: Head in the Clouds app isn’t just about visuals and sound: there’s also a game component. 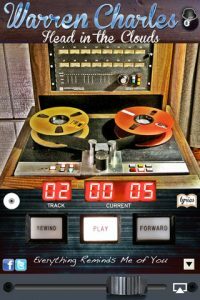 You can play 4 original games based on songs from the album. There’s the “Forever Hold My Peace” game, where players must dodge the wedding party and steal a bride. 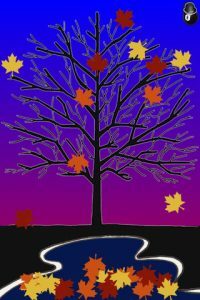 There’s also a memory/hidden object game, a drum machine, and a cool title where you drag, tilt, blow, and stack leaves as part of the “Leaving” game. The music itself is fun, pop-influenced rock. 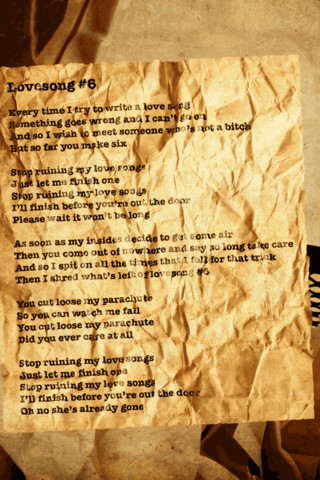 The vocals are smooth, controlled, and personable…perhaps a bit reminiscent of Jason Robert Brown or Ben Folds. 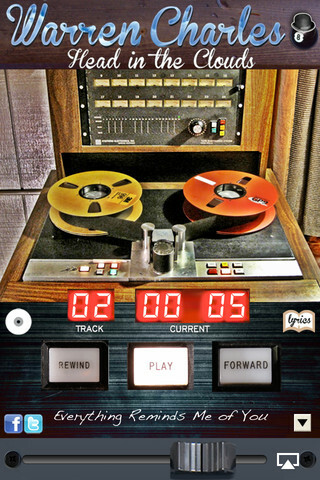 The “tape deck” you use to play each audio track is a nice touch, made all the nicer for its cute sound effects. Some of the best tracks include the wonderfully brassy, retro-influenced “Weapon of Choice,” the percussion and piano-driven earworm “My Moment of Weakness,” and the track “Programmable Compatibility,” which has echoes of the melodic tendencies of both the Kaiser Chiefs and Fictionplane. For just $1.99, you get a ton of great music and some truly excellent distractions. If you like what you hear, check out Warren Charles’events onfacebookto find out about upcoming shows in the Los Angeles area. I wish I lived in the LA area: after downloading this app, I’m a Warren Charles fan. 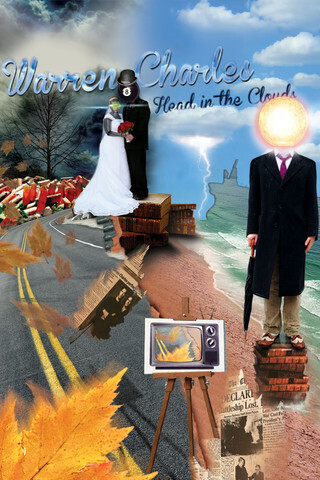 Check out Warren Charles: Head in the Clouds as soon as you can. Warren Charles: Head in the Cloudsis compatible with iPhone, iPod touch, and iPad. Requires iOS 5.0 or later.